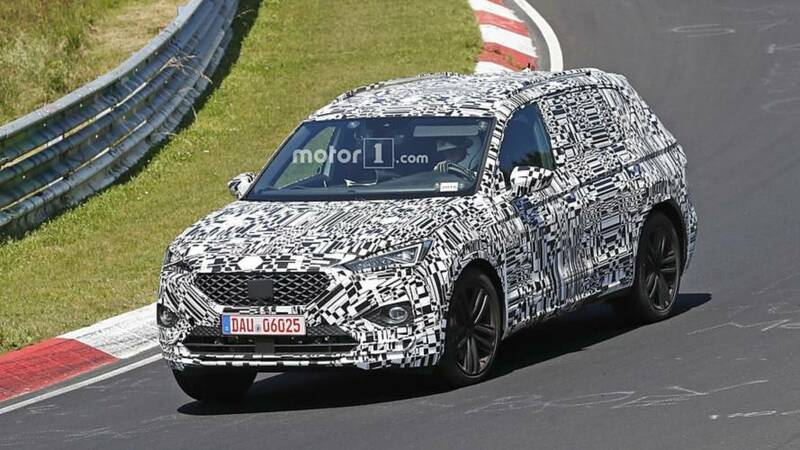 The large SUV has been leaked in full, but SEAT is determined to keep the camouflage on during final testing. Despite the fact official revealing images of the three-row SUV emerged onto the web back in February, SEAT decided to stick to its original schedule and published a teaser back in May with the Tarraco hiding under wraps. Not only that, but the prototypes currently undergoing final testing at the Nürburgring are carrying around a significant amount of camouflage, even though it’s really not that hard to figure out what’s hiding underneath the disguise. A Spanish take on the Skoda Kodiaq and the Volkswagen Tiguan Allspace, the new Tarraco will complete SEAT’s three-member SUV family by slotting above the subcompact Arona and the compact Ateca. The exterior design will stay true to the company’s recent models by adopting a sharp body making the Tarraco look a little bit sportier and more youth-oriented than its VAG counterparts. Those leaked images did reveal a neat styling cue by showing the full-width rear light extending from one taillight to the other like on much more expensive models from the group, such as the Porsche Cayenne and the Audi Q8. Being a member of the continuously growing MQB family, it’s fairly simple to figure out what sort of engines will be offered. Expect the pair of 1.5 and 2.0 TSI gasoline mills to be available alongside the 2.0 TDI for those in need of more low-end torque and better fuel efficiency. It goes without saying all-wheel drive and an automatic transmission will be offered, but cheaper versions might stick to a FWD layout and a six-speed manual gearbox. Those leaked images we keep mentioning also pretty much revealed the interior cabin, which looks awfully familiar to fans of the Sociedad Española de Automóviles de Turismo brand. Those were low-resolution shots in black and white, so it’s understandable (to some extent) why the Tarraco’s cabin didn’t look too interesting. For what it’s worth, we were able to see the fully digital instrument cluster, which will likely be offered as optional equipment. 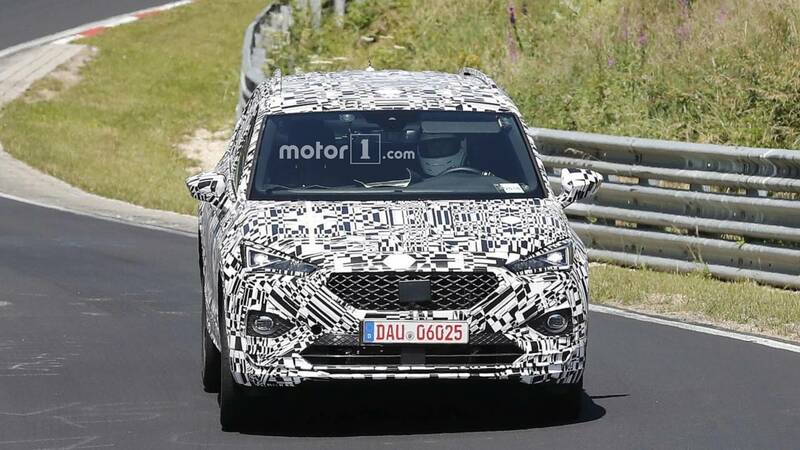 SEAT has promised to unveil the Tarraco before the end of the year, so there’s a good chance the official debut is slated for the Paris Motor Show in October or perhaps a few weeks sooner online.